"We're proud to say that since we chose Archicad as our design, documentation, and presentation solution, The Orcutt/Winslow Partnership has experienced steady growth and an increase in design and documentation quality. We are producing a higher quality of work with fewer staff, and Archicad plays a big part in this trend." "Using Archicad gives us the resources to provide better design, better presentations, and quality construction documents while maintaining a competitive fee structure which makes our clients very happy - most of whom return time and time again." See for yourself how you, your company finances and a host of workflow variables can benefit from implementing ArchiCAD within your building design process. While over 100,000 global users "think" and "create" in ArchiCAD, now you can calculate why it's so popular in pure money terms, and count on it also supporting your firm's success. Graphisoft's Return-on-Investment (ROI) calculator will allow you to benchmark your productivity, time allocation to specific design activities and overall profit potential from implementing ArchiCAD 3D modeling into your practise. 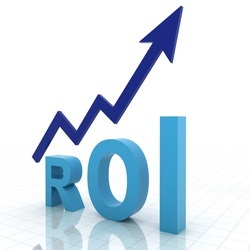 The ROI Calculator parameters are drawn directly from survey feedback of 512 large and small architectural companies worldwide, who volunteered us hard numbers. They have offered detailed insight into the workflow, productivity and profitability gains which they have experienced through using ArchiCAD. Take the ROI test below. Note that the first three boxes show the global average benefits. Ask your nearest ArchiCAD reseller to talk you through the process of entering your company statistics, or to take you through a more complex calculator assessment in person.
. I am human, for sure.